Favn i Pastushka [Faune et Bergere] Op. 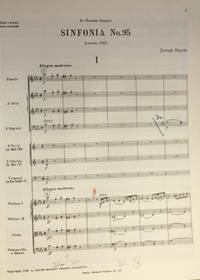 2, Three songs on texts by Pushkin for Mezzo-Soprano and Orchestra. 31 pp. 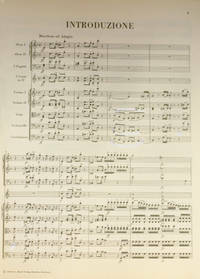 Folio, 13'' X 10'', full score. In plain paper wraps with hand lettered title. Score clean and unmarked. Text and titles in Russian. 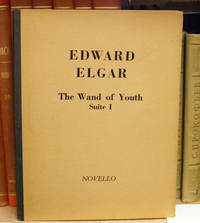 Facsimile of early or first edition with identity of original publication information (probably Belaieff, Leipzig, 1913, plate 2959) effaced by Kalmus. De Lerma F2. Mainz: B. Schott's Sohne, 1983. Cloth. Very Good. Folio. x, 188 pp. Full score, gray cloth, folio. 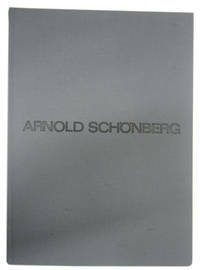 Schoenberg Samtliche Werke: Abteilung IV: Orchesterwerke; Reihe A, Band 14, Orchesterwerke III. Contents: Faksimilia; Funf Orchesterstucke, op. 16; Begleitungsmusik zu einer Lichtspielszene, op. 34 (Drohende Gefahr, Angst, Katastrophe); Thema und Variationen fur Orchester, op. 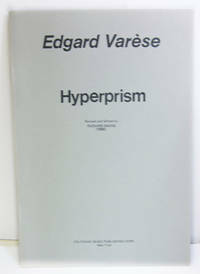 43 B.
Hyperprism, for small orchestra and percussion. New York, N.Y.: Colfranc, 1986. Wraps. Very Good. Octavo. 29 pp. 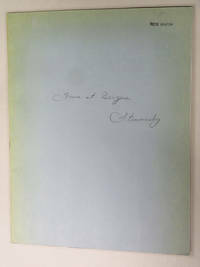 Previous owner's signature on title page. Duration circa 4'. Revised and edited Richard Sacks. For flute (piccolo), Eb clarinet, 3 F horns, 2 C trumpets, tenor and bass trombones, and 9 or 10 percussionists playing sleigh bells, indian drum, lion roar, anvil, tambourine, slap stick, bass drum, snare drum, susp cymbal, ratchets, siren, triangle, chinese blocks, tam-tam, and 2 cymbals. London: Barrie & Jenkins, 1976. Paper. Very Good. 8vo. xi, 489,  pp. plates, illustrations, facsimiles, music, portraits. Very Good. 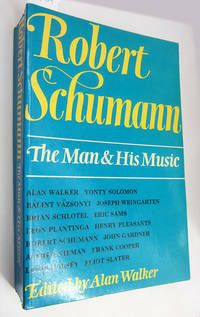 Contents: Schumann and His Background/Alan Walker: Solo Piano Music I. The Sonatas and Fantasie/Yonty Solomon. Solo Piano Music II. The Piano Cycles/Balint Vazsonyi. Interpreting Schumann's Piano Music/Joseph Weingarten. Schumann and the Metronome/Brian Schlotel. The Songs/Eric Sams. 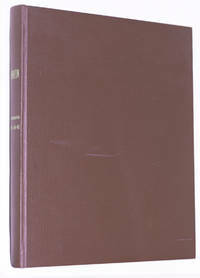 Schumann and the Neue Zeitschrift für Musik/Leon Plantinga. Schumann the Critic/Henry Pleasants. Aphorisms, Maxims, and Quotations/Robert Schumann. The Chamber Music/John Gardner. The Concertos/Alfred Nieman. The Orchestral Music/Brian Schlotel. Operatic and Dramatic Music/Frank Cooper. The Choral Music/Louis Halsey. Schumann and the Tonal Analogue/Eric Sams. Schumann's Illness/Eliot Slater. Wand of Youth, Suite 1, Op. 1A. London: Novello, 1936. Paper-covered Boards. Very Good. Folio. 82 pp. Full score, folio, paper-covered boards. Unmarked. Overture; Serenade; Minuet (Old style); Sun Dance; Fairy Pipers; Slumber Scene; Fairies and Giants. 1. Symphonie [Symphony No. 1]. Wien: Universal Edition, nd. Good. Folio. Folio, paper wraps. Full score. Universal Edition 10.687. (Printed ca. 1955) P.O. 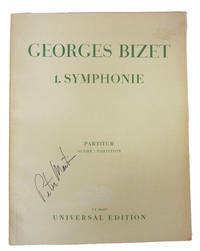 signature with some professional marks in red and blue pencil, else very good. Duration 30 min. No reprises. Composed October/November, 1855. 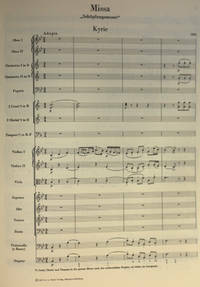 First performed, Basel, Felix Weingartner, February 26, 1935. 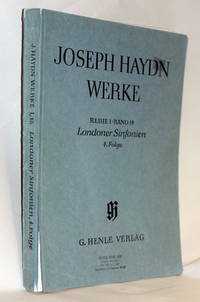 "Erste Veröffentlichung: Wien, September 1935"
Boston, Wien: Haydn Society, 1951 vii, 377 pp. Red cloth, folio, full scores. Previous owner's stamp and some marks in red and blue pencil to No. 50, else clean and unmarked. Editorial revisions listed in back. Edited by Helmut Schultz. Sinfonia [Hob. I:50], C major; Sinfonia [Hob. I:51], Bb major; Sinfonia [Hob. I:52], C minor; Sinfonia [Hob. I:53], ''L'imperiale,'' Dmajor; Sinfonia [Hob. I:54], G major; Sinfonia [Hob. I:55], ''The Schoolmaster,'' Eb major; Sinfonia [Hob. I:56], C major; Sinfonia [Hob. I: 57], D major. Printed in Wien.. Cloth. Very Good. Folio - over 12" - 15" tall. Salzburg: Haydn-Mozart Presse (Salzburg) Alleinauslieferung Universal Edition, 1965 76 pp. Haydn-Mozart Presse No. 77. Edited by H. C. Robbins Landon. C major. 1. Adagio - Vivace, 2. Adagio, 3. Menuetto e Trio. Allegretto, 4. Finale: Presto assai. Stamp of previous owner, price sticker shadow, stamp of Orpheus music shop, some annotations in pencil regarding performance of Szell. A damp stain leaving shadow on wraps and most pages. Marks to score in red and blue pencil.. Wraps. Good. Folio - over 12" - 15" tall. Boston, Wien: Haydn Society, 1951 x, 404 pp. Red cloth, folio, full scores. Previous owner's stamp, a few dynamics marked in red in the Missa Brevis, else clean and unmarked. Edited by Carl Maria Brand. Includes Missa brevis in F; Missa in honorem Beatissimae Virginis Mariae; Missa Sanctae Caeciliae; Missa Sancti Nicolai. Thematic index of all of Haydn's masses. Printed in Wien.. Cloth. Very Good. Folio - over 12" - 15" tall. Salzburg: Haydn-Mozart Presse (Salzburg) Alleinauslieferung Universal Edition, 1965 48 pp. Haydn-Mozart Presse No. 73. Edited by H. C. Robbins Landon. C minor. 1. Allegro moderato, 2. Andante, 3. Menuetto, 4. Finale: Vivace. Stamp of previous owner, price sticker shadow, some marks in red and blue pencil. . Wraps. Very Good. Folio - over 12" - 15" tall. Salzburg: Haydn-Mozart Presse (Salzburg) Alleinauslieferung Universal Edition, 1967 51 pp. Haydn-Mozart Presse No. 92. Edited by H. C. Robbins Landon. F major. 1. Presto, 2. Adagio, 3. Menuetto & Trio, 4. Finale: Allegro di molto - Adagio e cantabile - Allegro di molto. Stamp of previous owner, price sticker shadow. Score unmarked.. Wraps. Very Good. Folio - over 12" - 15" tall. 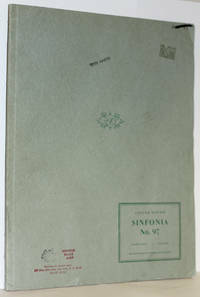 Munchen: Henle, 1966 viii, 227 pp., 1 facsimile. Folio, full scores. Previous owner's stamp, some bumping and rubbing to extremies, some marks to no. 104, including rehearsal letters, else clean and unmarked. 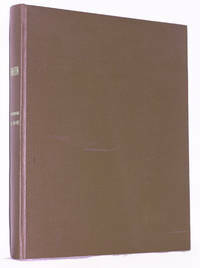 Edited by Hubert Unverricht. 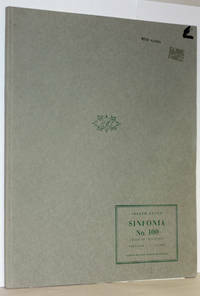 Contents: Sinfonie. Hob. I: 102. B-Dur. - Sinfonie. Hob. I: 103. Es-Dur. - Sinfonie. Hob. I:104. D-Dur.. Wraps. Good. Folio - over 12" - 15" tall. 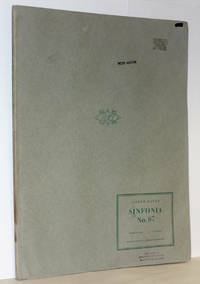 Munchen: Henle, 1966 viii, 227 pp., 1 facsimile. Folio, full scores. Previous owner's stamp, some bumping and rubbing to extremies, some marks in red and blue pencil to Hob 1:30, else clean and unmarked. Edited by Horst Walter. Contents: Vorwort, Zur Gestaltung der Ausgabe. 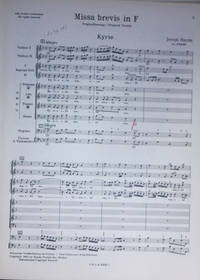 Sinfonie in A, Hoboken 1: 21; Sinfonie in Es (Der Philosoph), Hob. 1:22; Sinfonie in G, Hob 1:23; Sinfonie in D, Hob. 1:24; Sinfonie in A, Hob. 1: 28; Sinfonie in E, Hob. 1: 29; Sinfonie in C(Alleluja), Hob. 1: 30; Sinfonie in D(Mit dem Hornsignal), Hob. 1: 31.. Wraps. Very Good. Folio - over 12" - 15" tall. Boston: Haydn Society , 1951 322 pp. Full score, folio. Pages and clean and unmarked. Herausgegeben/edited by H. C. Robbins Landon. Boston-Wien: Haydn Society Inc. in cooperation with Breitkopf & Hartel, 1951. Symphonies Nos. 88, in G major; 89, in F major; 90, in C major; 91, in E-flat major; 92, the ''Oxford,'' in G major.. Cloth. Very Good. Folio - over 12" - 15" tall. Salzburg: Haydn-Mozart Presse (Salzburg) Alleinauslieferung Universal Edition, 1967 77 pp. Haydn-Mozart Presse No. 180. Edited by H. C. Robbins Landon. G major. 1. Adagio - Allegro, 2. Allegretto, 3. Menuetto: Moderato, 4. Presto. Stamp of previous owner, price sticker shadow. Score has some professional marks in blue and red pencil. Laid in, ms. parts for Bb Bass clarinet to Overture Die Geschopfe des Prometheus (Beethoven), 2nd Bassoon Romanze F-dur, Op. 50 (Beethoven), and a pirce list for Broadway Tuxmakers, April 1, 1986. . Wraps. Very Good. Folio - over 12" - 15" tall. Salzburg: Haydn-Mozart Presse (Salzburg) Alleinauslieferung Universal Edition, 1962 48 pp. Haydn-Mozart Presse No. 75. Edited by H. C. Robbins Landon. D major. 1. Adagio, Allegro, 2. Andante, 3. Menuetto: Allegretto, 4. Finale: Vivace. Steinberg, (OUP, 1965) claims that the miracle of crashing chandelier avoidance happened during a performance of Symphony No. 102. Stamp of previous owner, price sticker shadow, professional marks in red and blue pencil.. Wraps. Very Good. Folio - over 12" - 15" tall. Boston, Wien: Haydn Society, 1951 v, 322 pp. Red cloth, folio, full scores. Previous owner's stamp, else clean and unmarked. 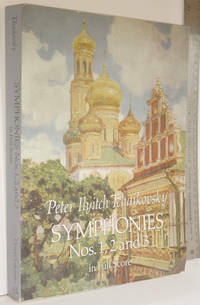 Includes a thematic index of all the symphonies and editorial revisions listed in back. Edited by H. C. Robbins Landon. Sinfonia [Hob. I:88], G major; Sinfonia [ Hob. I:89], F major; Sinfonia [ Hob. I: 90], C major; Sinfonia [Hob. I:91], Eb major; Sinfonia [Hob. I:92], ''Oxford,'' G major. Printed in Wien.. Cloth. Very Good. Folio - over 12" - 15" tall. New York: Dover, 1992 489 pp. Small folio, full score. Rubbing at corners, a flattened crease in rear wrap, else fine. Text block clean and white. ''A republication of three works originally published separately, all published by Gosudarstvennoe Muzykal'noe Izdatel'stvo, Moscow and Leningrad and Moscow, 1946''. Wraps. Very Good. Folio 12'' X 9''. 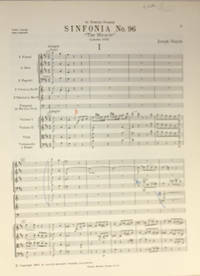 Munchen: Henle, 1967 ix, 204 pp. Folio, full scores. Previous owner's stamp, some bumping and rubbing to extremies, a large black mark in felt marker to inside of front wrap not affecting any text, else clean and unmarked. Edited by Irmgard Becker-Glauch. ''Die Editionsarbeiten wurden von der Stiftung Volkswagen gefordet. Gedruckt mit Unterstutzung der Deutschen Forschungsgemeinschaft.'' Contents: Vorwort; Zur Gestaltung der Ausgabe; 11. Missa ''Schopfungmesse'' Anhang: Gloria Takt; Anderung fur die Kaiserin Marie Therese.. Wraps. Very Good. Folio - over 12" - 15" tall. 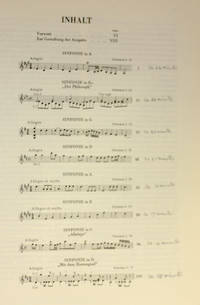 Munchen: Henle, 1959 252 pp. Folio, full scores. Previous owner's stamp, linen binding with wear and soiling, backstrip loose, light marking by P.O. 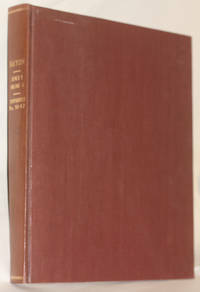 Edited by Hubert Unverricht. Contents: Missa brevis Sancti Joannis de Deo (Kleine Orgelmesse), Hob. XXII:7 - Missa Cellensis (Mariazellermesse), Hob. XXII:8 - Missa in tempore belli (Paukenmesse), Hob. XXII:9 - Missa Sancti Bernardi von Offida (Heiligmesse), Hob. XXII:10.. Cloth. Good. Folio - over 12" - 15" tall.